Do some cultural sightseeing at St. Paul's Cathedral and Tower of London. Visit Buckingham Palace and Churchill War Rooms for their historical value. There's still lots to do: explore the world behind art at National Gallery, snap pictures at Tower Bridge, get curious at Science Museum, and admire the striking features of Houses of Parliament. To see traveler tips, where to stay, maps, and more tourist information, read our London itinerary maker. If you are flying in from United Kingdom, the closest major airports are London Heathrow Airport, London Gatwick Airport, London Stansted Airport, London City Airport, Erase Me 11 and Southend Airport. In July, daytime highs in London are 26°C, while nighttime lows are 17°C. Cap off your sightseeing on the 27th (Thu) early enough to catch the train to Warwick. Warwick is the county town of Warwickshire, England. To see more things to do, traveler tips, other places to visit, and tourist information, read Warwick tour planner. Traveling by train from London to Warwick takes 1.5 hours. Alternatively, you can drive; or take a bus. In July in Warwick, expect temperatures between 26°C during the day and 16°C at night. Wrap up your sightseeing by early afternoon on the 27th (Thu) to allow time for travel to Munich. You'll explore and learn at Nymphenburg Palace (Schloss Nymphenburg) and Deutsches Museum. Get some historical perspective at Frauenkirche and St. Peter's Church. And it doesn't end there: contemplate the waterfront views at English Garden, admire the masterpieces at Neue Pinakothek, examine the collection at BMW Welt, and don't miss a visit to Marienplatz. To see where to stay, maps, photos, and other tourist information, go to the Munich vacation planner. Traveling by combination of train and flight from Warwick to Munich takes 5 hours. Alternatively, you can take a train; or do a combination of car and train. The time zone difference when traveling from Warwick to Munich is 1 hour. In July in Munich, expect temperatures between 28°C during the day and 15°C at night. Wrap up your sightseeing by early afternoon on the 31st (Mon) to allow enough time to travel to Berlin. Get some historical perspective at Charlottenburg Palace and Bebelplatz. Family-friendly places like Strandbad Tegeler See and Zoo Berlin will thrill your kids. 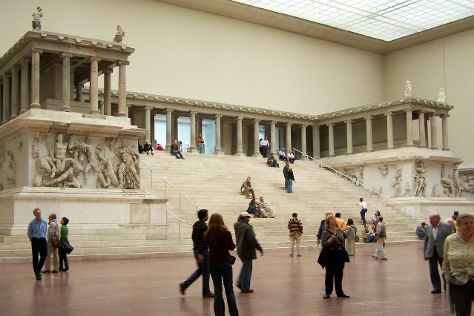 Next up on the itinerary: examine the collection at Pergamonmuseum, take an in-depth tour of Mauermuseum - Museum Haus am Checkpoint Charlie, pause for some photo ops at Brandenburg Gate, and steep yourself in history at Berlin Wall Memorial. To find other places to visit, photos, where to stay, and other tourist information, go to the Berlin trip itinerary maker. Do a combination of train and flight from Munich to Berlin in 3.5 hours. Alternatively, you can drive; or take a train. In July, plan for daily highs up to 28°C, and evening lows to 17°C. Wrap up your sightseeing on the 4th (Fri) early enough to take a train to Hamburg. 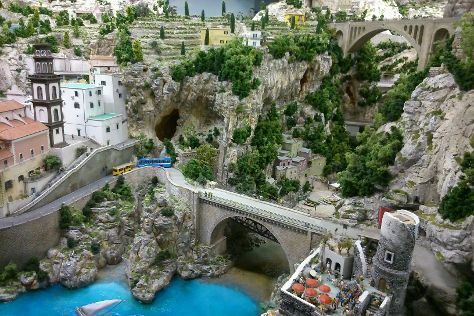 Start off your visit on the 5th (Sat): examine the collection at Miniatur Wunderland. To see more things to do, traveler tips, photos, and tourist information, go to the Hamburg trip itinerary maker. Getting from Berlin to Hamburg by train takes about 2 hours. Other options: drive; or take a bus. Expect a daytime high around 26°C in August, and nighttime lows around 15°C. Wrap up your sightseeing by early afternoon on the 5th (Sat) to allow time for travel to Edinburgh. Royal Yacht Britannia and People's Story will appeal to museum buffs. Your inner history buff will appreciate Edinburgh Castle and The Royal Mile. Next up on the itinerary: take in the dramatic natural features at Arthur's Seat, take some stellar pictures from Calton Hill, take a stroll through Edinburgh Old Town, and make a trip to The Real Mary King's Close. For more things to do, other places to visit, ratings, and other tourist information, go to the Edinburgh trip itinerary maker. Traveling by flight from Hamburg to Edinburgh takes 5 hours. Alternatively, you can take a train; or do a combination of car and train. Due to the time zone difference, you'll gain 1 hour traveling from Hamburg to Edinburgh. Traveling from Hamburg in August, expect Edinburgh to be slightly colder, temps between 21°C and 11°C. Wrap up your sightseeing by early afternoon on the 9th (Wed) to allow time for travel to Bath. You'll visit kid-friendly attractions like The Roman Baths and Brunel's SS Great Britain. Museum-lovers will get to explore American Museum and The Jane Austen Centre. Venture out of the city with trips to Stonehenge (in Amesbury), St. Margaret's Chapel & Magdalene Almshouses (in Glastonbury) and Wells Cathedral (in Wells). There's still lots to do: look for all kinds of wild species at Hawk Conservancy Trust, steep yourself in history at Avebury Manor, admire the landmark architecture of Bath Abbey, and explore the ancient world of Avebury Stone Circle. For ratings, traveler tips, other places to visit, and tourist information, read our Bath vacation planner. Do a combination of flight and bus from Edinburgh to Bath in 4 hours. Alternatively, you can take a train; or drive. In August, plan for daily highs up to 22°C, and evening lows to 14°C. Finish up your sightseeing early on the 13th (Sun) so you can catch the train back home.